Amazon Echo has totally transformed itself into an Echo smart speaker with a display screen and better sound quality. Amazon has recently launched the new version of Amazon Echo. It is known as Echo show, and it will begin shipping on June 28th, and you have to pay $230 for this ultimate device. As per the Amazon’s page for the device, the Echo show allows you to watch Youtube videos. It can work as a digital photo frame, and while playing music from Amazon music, it will pull the lyrics. In addition to this, you can even make video calls. However, this is $80 more expensive than the standard Echo, which lacks the screen. 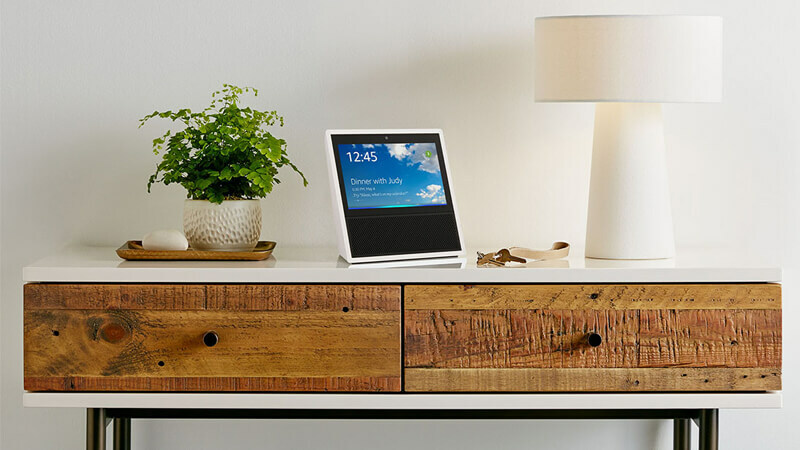 Echo’s speakers are powered by company’s Alexa artificial intelligence software, which is capable of carrying a variety of tasks such as handling queries about news and weather. Third party apps let you order a pizza or hire an Uber cab. It has an inbuilt camera, which can be used to make daily outfit choices. Not only this, but you can connect the device to the Wi-Fi enabled security cameras and you can check video feeds by commanding Alexa like “Alexa, show me the front door. Apart from this, you can also make a video call or voice calls to your friends if they have Alexa app on another device. Amazon is also unveiling its new feature called “Drop in ” which lets your friends and family makes a call at any time. Here you get a 10-second window to reject a drop in call or switch it into an audio call. This feature will be helpful in checking with an elderly person. • It has eight microphones. • The screen is seven inches. • It is equipped with a front facing five-megapixel camera and a pair of two inches speakers. So, check out this Amazon Echo as it will be available for shipping from 28th June. Currently, Amazon is giving an amazing offer like buy two Echo show and save $100.